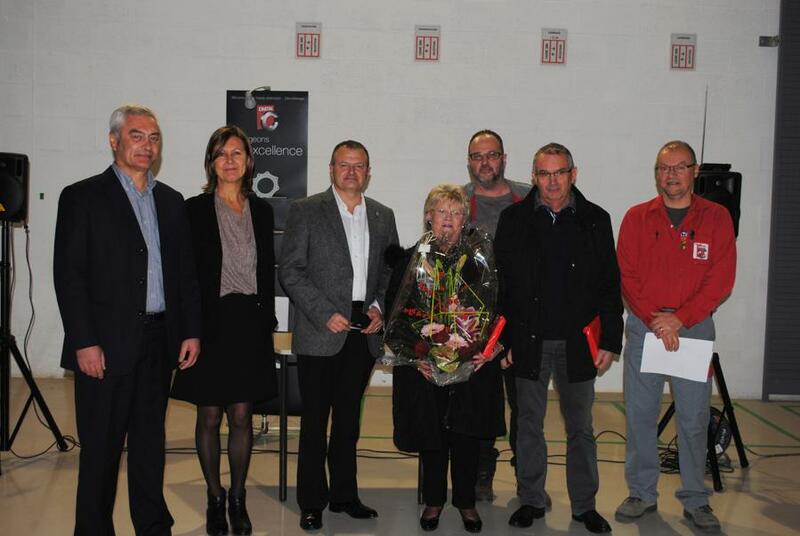 Like every year, the Management of CHATAL organized the traditional New Year speech on Friday, January 9th, 2015, at the St-Nicolas-de-Redon site. It also gave them the opportunity to award 2 employees with a labor medal for their long service and to offer a retirement gift to 2 young retirees. This convivial event was also an opportunity for the Management to thank all the staff for their work during the year 2014. The target for the New Year 2015 will be to consolidate and develop the business activities of the company which works mainly for the aeronautics industry.